With over 20 years’ experience providing accounting and office management services, Kathy brings her passion and experience to our Affinity YourBooks team. 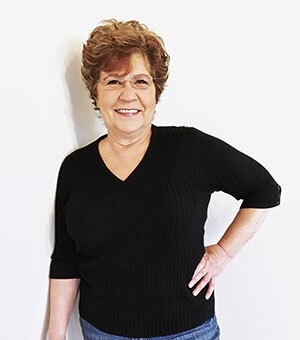 Working out of Troutville, Virginia, Kathy follows the golden rule in working for her clients – she keeps their books to the same standard of accuracy and timeliness that she has for her own personal finances. Kathy does not see her role as strictly being a bookkeeper. One of the things she prides herself in the most is not just keeping financials up to date, but also always being on the lookout for ways to make life easier and more profitable for her clients. Before joining Affinity, Kathy lived in California. Now she makes the most of her new home. Being with her family and friends is her favorite way to spend her down time. Kathy is always up for a good meal at a variety of favorite places, as long as she can enjoy a nice glass of red wine with dinner.